Mifflin County’s Gage Scheaffer, center, is tackled by Little Lions Sam Storll, left, and Tyson Brennan Friday at Memorial Field. STATE COLLEGE — Things can change quickly in the game of football. If Mifflin County hadn’t already learned this lesson, it did Friday night. A competitive first quarter that saw the Huskies driving to cut into State College’s lead ended with a high snap that stymied the march. The setback led to a turnover on downs early in the second quarter, followed by long touchdowns on each of the Little Lions’ next two plays from scrimmage. And just like that, a competitive game was no longer, the running clock was in effect for the entire second half and Mifflin County fell 35-12 to State College, allowing the Little Lions to retain the Seven Mountains Bucket — the trophy the two schools play for annually. 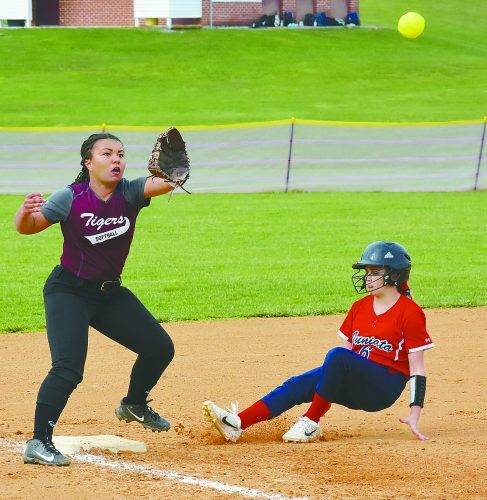 To Sechler’s point, State College had obtained the lead, but Mifflin County made the home team earn it. The Little Lions drove down inside the Huskies’ 25 on the first possession, only to stall out and miss a 43-yard field goal try. Then, an apparent 59-yard punt return for a touchdown was nullified by penalty — the first of two first-half returns that ended in the end zone but were erased by yellow flags. Despite the setback, the Little Lions finally put it all together as a 3-yard run by Keaton Ellis punctuated a seven-play drive that covered 79 yards and put State College ahead 7-0. State College enjoyed a short field on its next possession, despite a flag taking another TD off the board on the punt return. Starting from the Huskies’ 31, only three plays were needed to find pay dirt again, this time on the legs of Isaiah Edwards from nine yards away immediately after Mifflin County had been ticketed for having too many men on the field, giving the hosts a 14-0 first quarter lead. 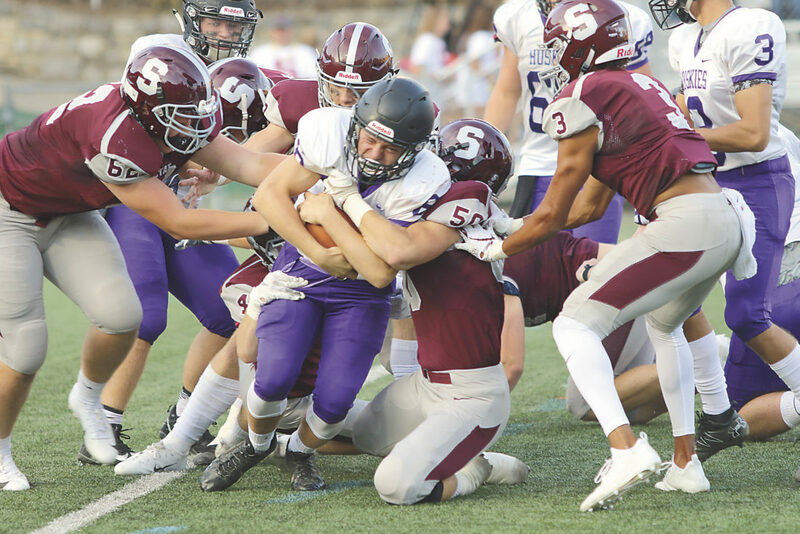 Needing a score, Mifflin County’s offense finally found some life and rhythm and had slowly advanced to the State College 26 with a first down in the closing seconds of the opening quarter. But a high snap led to a 6-yard loss on the period’s final play, then an incomplete pass, a short run and a completion well short of the line to gain on fourth down gave the ball back to the Little Lions. One play and 75 yards later, a hookup between quarterback Tommy Friberg and receiver Cohen Russell, State College was in the end zone again. Then Mifflin County went three-and-out before State College struck once more for instant points, this time on a 73-yard run by Keaton Ellis on his only carry of the night. In the span of nine snaps, Mifflin County went from driving to get within a touchdown to being down 28-0 and never really in the game again. State College added another touchdown before halftime as Dresyn Green punched it in from nine yards out to put the Little Lions up 35-0 at halftime, ensuring the running clock would be in effect for the entire second half. Despite the large deficit, the Huskies were able to find some consistency offensively — albeit against many of State College’s backups. On the Huskies’ second drive of the third quarter, quarterback Noah Wright was able to sift through the defense to find the end zone from 10 yards out. The extra point try failed, however, leaving the score 35-6 after three quarters. In the final period, another long drive ended with Mifflin County points as Wright found Wyatt Henry over the middle from 12 yards out to get the Huskies in the end zone again. A pass attempt for the two-point conversion failed, setting the final at 35-12. Mifflin County (0-1) hosts Hollidaysburg for its home opener on Aug. 31. SC–Edwards 3 run (Renfrew kick), 5:41. 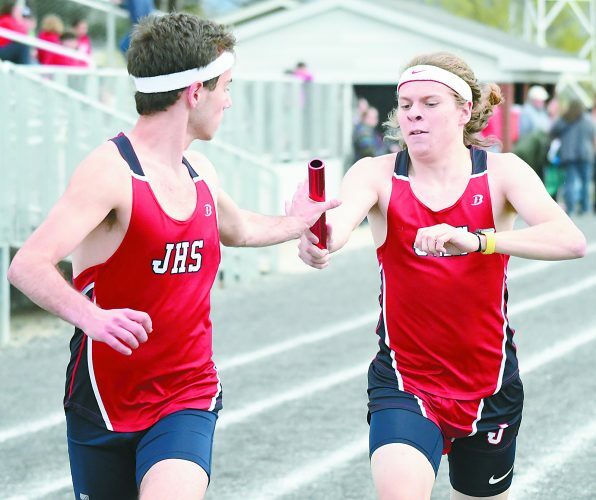 SC–Edwards 9 run (Renfrew kick), 3:08. SC–Russell 75 pass from Friberg (Renfrew kick), 10:42. SC– Ellis 73 run (Renfrew kick), 8:30. SC — Grenn 9 run (Renfrew kick), 4:43. MC– Henry 12 pass from Wright (pass failed), 3:03. RUSHING: MC– Schaeffer 14-67, Wright 10-30, Henry 1-6, Poche 1-1, Fortson 1-1; SC– Domico 7-52, Edwards 6-32, Moore 4-27, Seider 4-1, Russell 3-25, Manyak 3-25, Friberg 2-15, Ellis 1-73, Wunz 1-2, Team 1-(-6). PASSING: MC– Wright 10-21-0-190; SC– Friberg 7-7-0-146, Seider 5-8-0-44, Moore 0-1-0-0. RECEIVING: MC– Schaeffer 4-31, Henry 2-22, Collins 1-13, Jackson 1-9, Biickhart 1-4, Bender 1-3; SC– Dorner 5-53, Longenecker 2-16, Russell 1-75, Bullock 1-16, Ellis 1-14, Howell 1-11, Lusk 1-5.